You may find that some driving schools offer a “guaranteed pass”. Of course no one can guarantee a test pass – it’s like guaranteeing that it won’t rain tomorrow! 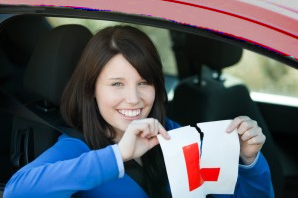 What many of these driving schools are doing is offering you a free driving test if you fail your first test. Of course there are plenty of requirements that you will need to fulfil to qualify for this guarantee. Firstly they will normally require you to take a minimum number of lessons with them Usually this will be the equivalent of 35 – 4o hours. Secondly they will require you to pass a mock test before taking the actual driving test. This of course is going to be a grey area since the person offering the guarantee is probably going to be the same person who is marking the mock test. So there’s obviously an incentive here for the instructor to mark more harshly on the mock test. If you are choosing to go with a driving school based on a guaranteed pass offer then make sure that you are very careful to read the small print. As with all offers, you may find that the small print makes it very difficult to qualify for the offer. If you are in any doubt then ask the instructor about the offer. We can’t guarantee that you will pass your test but we can make some suggestions to help make that all important test pass more likely. Firstly the number one tip from anyone in the driver training industry is this: Make sure you have enough lessons. People are always surprised how many lessons it takes to pass the test. VERY few people can pass with less than 20 lessons these days (remember people will always tell you they took less than they did) and by and large most people will take around 40-5o hours of driving tuition. Secondly think about your previous lesson before you come to your next lesson. If you just get in the car and can’t even remember what you did last time, your progress is going to be slower and your chances of passing first time lower.